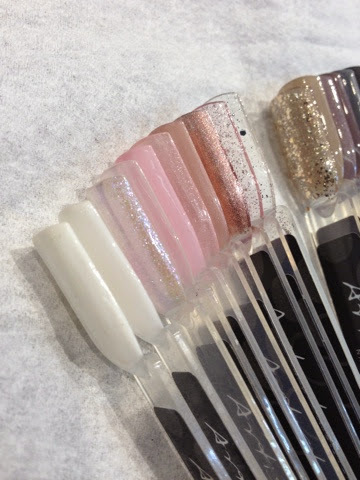 A few weeks ago I received a lovely email from Laura inviting me to go to HC LuxSpa* which is a nail salon offering many different types of manicures. As I am living in Birmingham for the time being, I thought it was perfect for me to go and try out! In all honesty I was looking for a nail spa but I really didn't know where to start as there's so many in Birmingham! HC LuxSpa delivers luxury experience in a retail environment. This one opened in Selfridges on 1st September 2014. It is located in the beauty section next to the sunglasses counter if anyone is wondering as I did find it a little confusing to begin with. 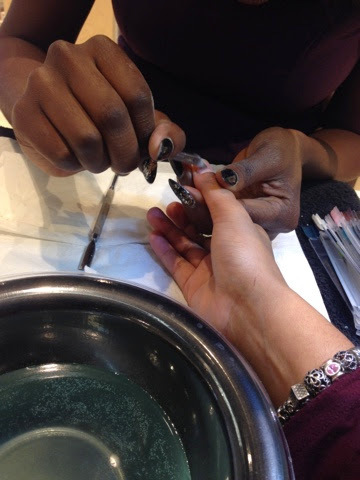 When I walked in I saw there were many different services which was being offered such as hair and eyebrows, this caused a little bit of confusion as I wasn't 100% sure where the nail bar was located. Once found, I was greeted by a lovely lady who showed me where I should sit and introduced herself. 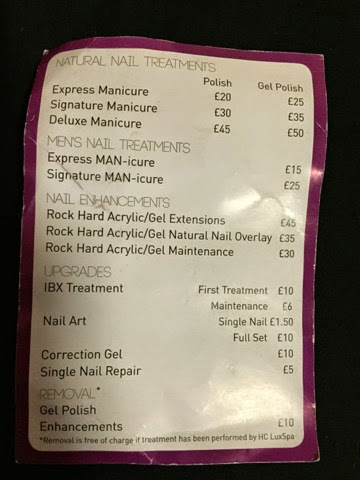 I was booked in for a deluxe manicure (£45) and a gel nail upgrade (£5) therefore altogether it was a £50 treatment. I was also booked in for an upgrade to have IBX treatment which included a massage and was complimentary for clients in October but due to the Spa being busy there was no time for that treatment. I had to fill out a form with my health details. Then I was shown the many different products which HC LuxSpa are offering, however you can not purchase these at the moment but in the future you will be able to. 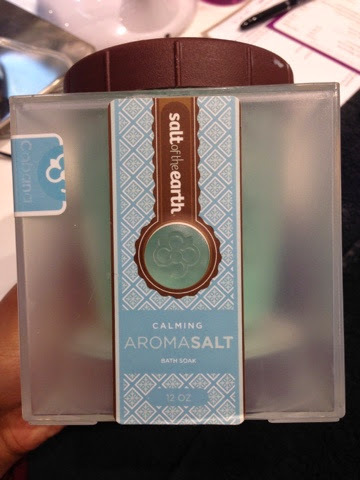 To start off the treatment my hands were first soaked into this Aroma Salt which sanitised and prepared my nails for the treatment. 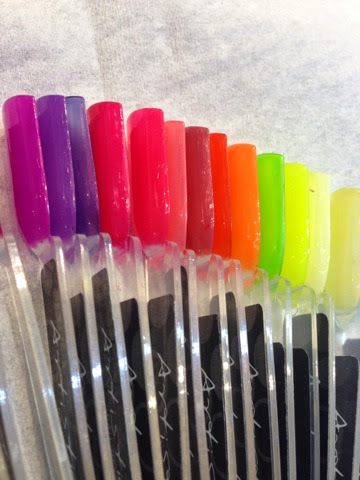 Next I was shown a range of colours to choose from. I went for a neutral grey which is the 4th colour in this top picture from the left. Once I made my decision the nail technician asked what shape and length I wanted my nails, as my nails were all different lengths, I left it to her to decide and I was really happy with the outcome. 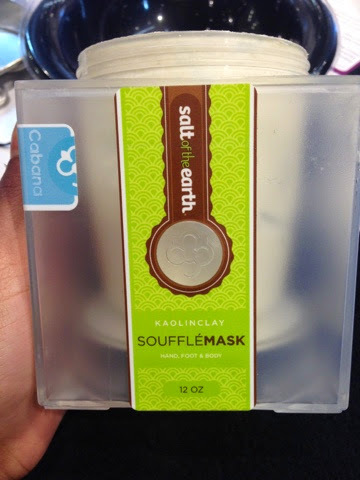 Next a mask was used to exfoliate my hand. 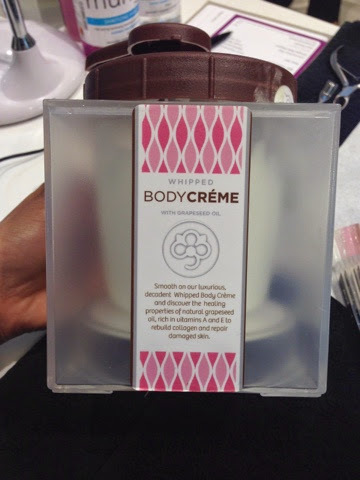 This felt really luxurious as it made my hands feel a lot smoother and softer and this is one product which I would love to purchase once it is launched by the spa to their clients. My nail technician was very friendly and chatty which I really appreciated as I am a chatty person myself. It was nice getting to know her and the conversation was kept all the way along the treatment which made the time go faster. 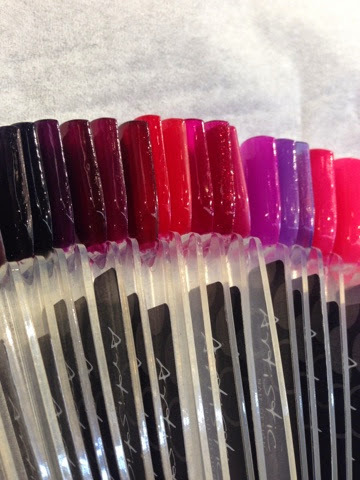 It definitely felt like a one to one service just like you would expect to get at any salon. This was my end result! And to end it off the nail technician used a lovely hand cream to moisturise my skin. Overall, my experience at HC LuxSpa was great! I really liked how my nail technician gave her 100% and answered all the questions I asked to the best of her knowledge. 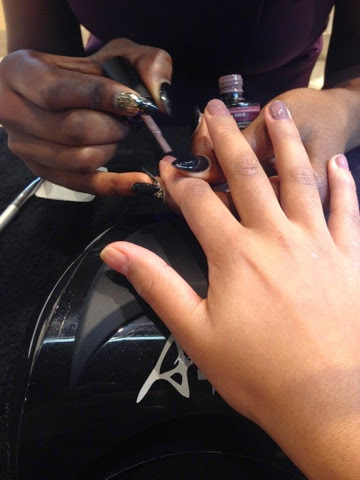 The only thing I did not like was when other staff members kept asking 'how long she will be until finishing..' I can understand why though, as they accept walk in clients however I felt like that caused my nail technician to rush towards the end. However I am very pleased with the outcome and I will be going back when I am next in at Selfridges.